The sales staff forms the backbone of almost every business. This hard-working team is the face of your organization to existing and prospective customers. It is therefore in your interest to empower your sales team so they can perform to the best of their abilities. A customer relationship management (CRM) software system gives them powerful tools to do just that. However, acceptance of a CRM system can be challenging. Our blog post last month covered “Why Your Sales Reps Try to Avoid CRM.” This month, we’ll show you how to counter their reservations. Sales managers generally don’t have any problem with the software. They understand its benefits and know the importance of storing all customer data in one central location. The CRM system makes their life easier, as it allows them to monitor staff performance and sales processes – which results in improved selling. However, your sales team needs to understand that using a CRM is not just good for the organization, but is beneficial to them, as well. Without a doubt, CRM is one tool that helps boost sales. According to research published by Tech News World, with a CRM in place, 54% of businesses expected to improve their sales. Apart from increasing sales, using a CRM has several benefits – including improving customer service, generating new business, increasing customer satisfaction and customer retention. Having a CRM system in place also allows you to share and distribute data easily, it reduce costs, improve market intelligence and manage customer renewals. The highest priority for sales people is to hit their target numbers. This is where a CRM system can really prove its worth. According to Innoppl Technologies, 65% of the sales reps who used mobile CRM were able to achieve their sales target. Conversely, 78% of the sales reps who did not use a CRM were unable to achieve their targets. Despite these benefits, not all sales reps are sold on using a CRM system because they misinterpret its value. If implemented correctly, however, it can prove to be a game-changer for the organization, as well as the people in the sales function. 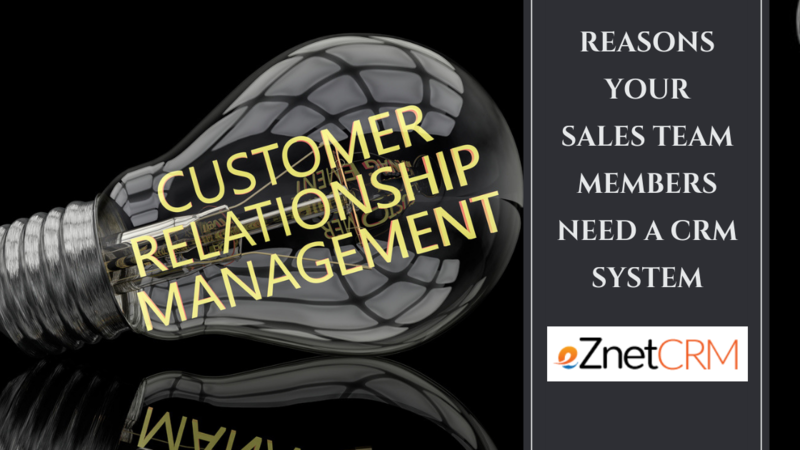 Your sales reps can greatly benefit from using a CRM system with an open mind. It offers a safe place to store customer data – With a CRM system in place, you don’t have to worry about where to store your precious customer data. Your sales reps can safely store all their customer information in one single place which they can access anytime and from anywhere. All your contacts, leads, plans, and activities can be stored in one place without any hassle, and you also don’t have to worry about losing any information. People may come and go, but your data will remain safe and secure at all times. Your sales team gets to know what your customers want – As all the customer information is stored in one single place in the CRM system, it helps your sales reps to analyze the needs of your customers in advance and offer them solutions. The sales reps can also anticipate your customers’ issues, resolve them to their satisfaction and retain them. A CRM system helps the sales reps do all of this at the right time so that you don’t lose your customers. When your sales reps proactively start dealing with your customers, it increases customer satisfaction and retention, which is bound to improve your overall profit margins. It improves time management of your sales reps – It is important for the sales people to manage their time efficiently. A CRM system allows your team members to manage their time properly. It helps your reps optimize their daily schedule and prioritize tasks so that your customers don’t feel neglected and your prospects are tapped at the right time. With a CRM system in place, your sales reps get more time to spend with their customers, which allows them to close more deals – helping them achieve their target faster. It helps your sales reps know when to contact their customers for new sales – You can track all the communication that people in the organization have had with your customers. With everything in front of your eyes, you can get in touch with your customers at the right time for a new sale. Your sales reps get to know in advance when the contract needs to be renewed, the time when your customers need product replacement or the best period for an upsell offer. All this information helps your sales reps’ chances of closing the deal at just the right time. Your sales reps can easily and quickly prepare all their reports – The time sales reps spend preparing their weekly and monthly reports can become a thing of the past with a CRM system. Sales reps can inform their seniors and others about their current sales progress with only a few clicks. The reporting process is not just simple, but it is transparent and automated, as well. It cuts down on your sales reps’ admin tasks – With a CRM system in place, your sales reps don’t have to perform administrative tasks. It reduces and removes some of the repetitive actions that take up their precious time. All the product and price details are stored in the CRM system. It triggers a reminder for activities, and takes your sales staff through the sales pipeline slowly and gradually. It helps target opportunities more efficiently – With the help of a CRM system, your sales staff can segment data and identify valuable opportunities through criteria-based selections, rather than searching through unorganized documents. It helps you save money –When you convince your sales reps to embrace a CRM system, human errors – such as mistakes in orders or quotes – will be significantly reduced, thus saving money that would otherwise be spent tracking down and correcting such mistakes. Your sales reps can stay current on all developments – With document templates, email integration and shared calendars, a CRM system unites your team members and keeps them posted on all recent developments. With a CRM system in place, you can also have a look at the most effective selling patterns and processes that work for your organization. 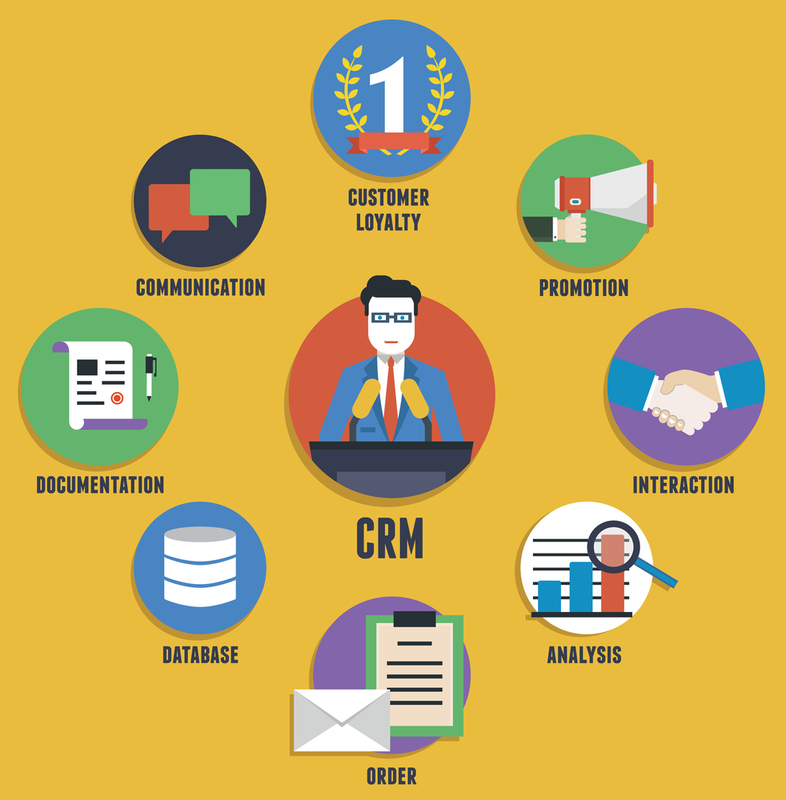 Also, a CRM system improves communication between the sales reps and management. If you have not started using a CRM already, don’t delay the decision. eZnet CRM can empower your sales team so they can easily achieve their targets. It enhances the mobility of your sales team as they can access customer data/information on-the-go on any internet-enabled device from any location. We invite you to evaluate eZnet CRM for your organization. Designed to be a comprehensive CRM solution, eZnet CRM is user-friendly, easy to customize and scale, and has excellent vendor support. Contact us to learn more, and start your free 30-day trial.